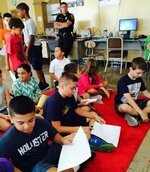 Today, Friday August 28th, Wolcott Police Officer Tom Gorman paid a visit to the Wakelee Computer Lab. 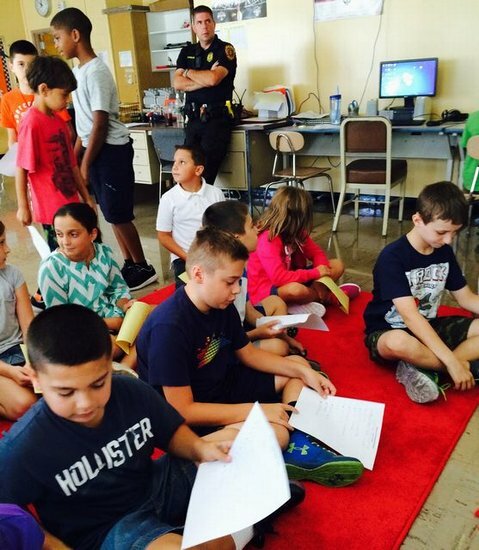 Officer Gorman worked with the Grade 4 students on first day of school riddles over the Mimeo Projector. The students enjoyed working coolaboratively, attempting to solve the word puzzles before Officer Gorman.